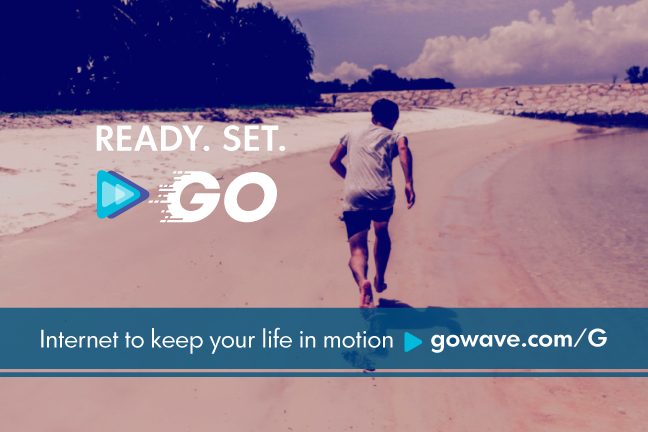 I worked with the creative team at Wave to develop an advertising campaign for Wave G to run in the summer of 2015. 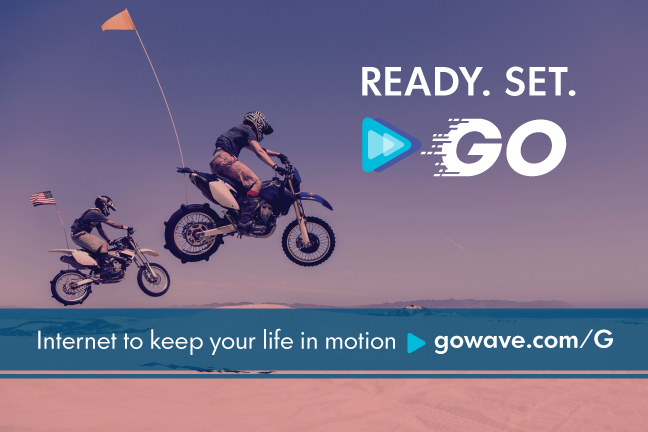 We presented a round of concepts to stakeholders and they selected what we titled “Ready Set Go” - a concept using contemporary motion-oriented imagery to convey the possibilities presented by the high-speed internet product offered by Wave G (a branch of Wave). The typographic treatment featured the Wave G symbol positioned to the right of the ‘G’ in the word “Go” and motion-oriented imagery to match. The campaign creative was developed prior to our team having a dedicated copywriter so I created the copy to support the campaign, Internet to keep your life in motion.